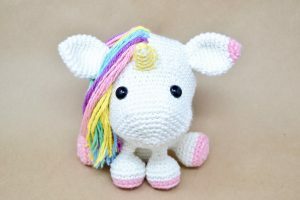 Are you selling the finished Una The Unicorn online? Contact us and get a link to your store on this page. Cut 4 (15 inch) pieces of pink, purple, blue, green, and yellow yarn. 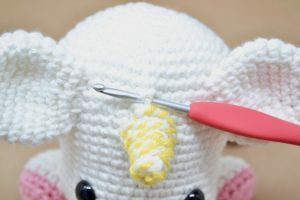 Starting above the horn, pick a stitch in the middle and insert your hook. 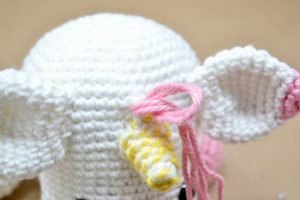 Place 2 pieces of yarn onto the hook. 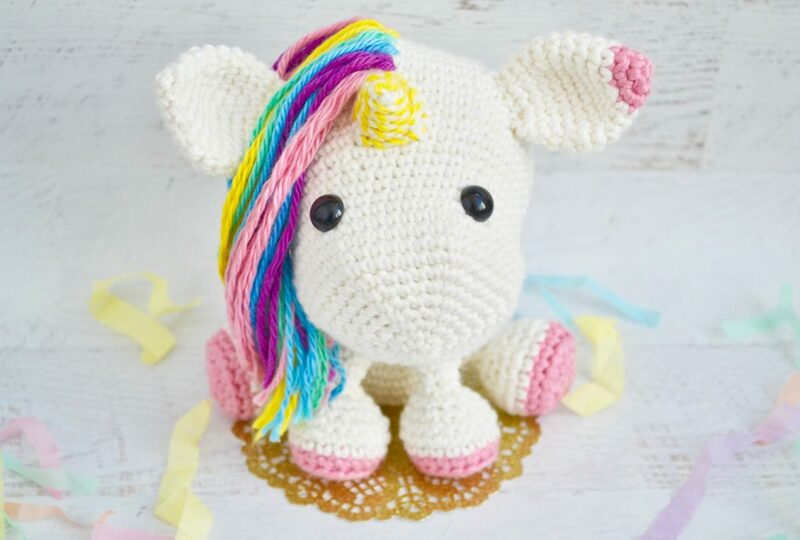 Pull the yarn through the stitch stopping halfway. 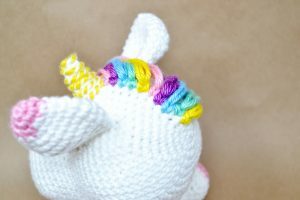 You'll have a large loop on one side and loose yarn on the other. 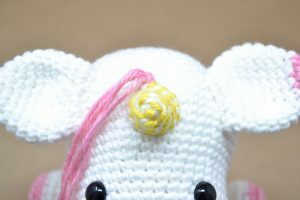 Insert the loose end of the yarn through the loop. 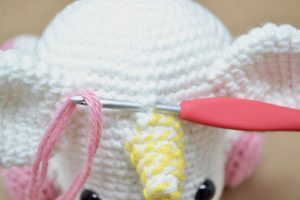 Tighten the yarn at the base of the head. 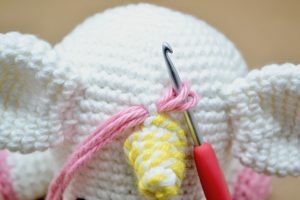 Keep add sections of hair by moving down a stitch. When you have all the hair attached, trim if needed. 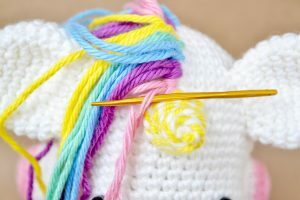 If you like the look of crimpy hair then separate each strand of yarn with a darning needle. 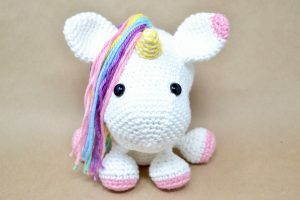 (Optional) Add a piece at the back of the body to make a tail - braid it and add a bow. 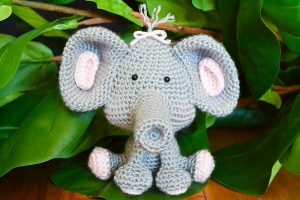 If you like Una The Unicorn, make sure to check out my Ellie The Elephant Free Crochet Pattern.